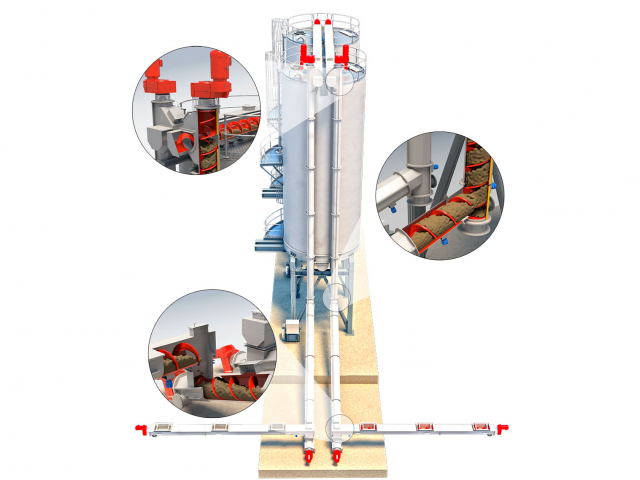 SPIRAC’s screening handling equipment brings together our unique spiral technology to create systemized solutions that are streamlined and robust. SPIRAC supplies solutions that can consist of a standalone unit, or a complete screening material handling system consisting of screens, conveyors, washers, dewaterers and SPIROTAINERs®(container system). All SPIRAC screening products are easily installed, durable and virtually maintenance free. They also incorporate the advantages of a compact design, reliable operation and low power usage.